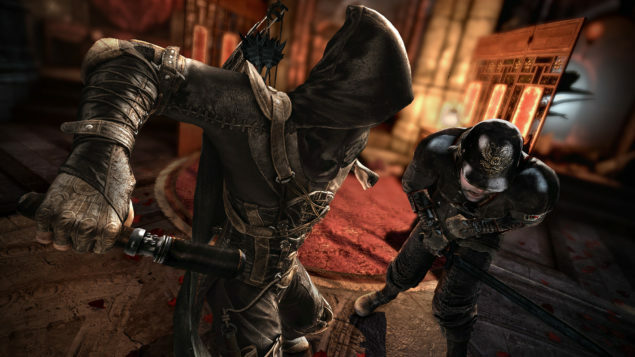 Thief is an upcoming action-adventure stealth video game developed by Eidos Montreal. The game is very close to its release date and gaming press have started to receive the review copies of the game. It looks like Thief next-gen resolution and frame rate for PlayStation 4 and Xbox One have been leaked and just like most other major games, Thief will also run at lower resolution on Xbox One than PlayStation 4. Unless you are living under a rock, you know that almost all major next-gen multiplatform games are running at lower resolution on Xbox One compared to PlayStation 4, some games also run at lower fps on Xbox One. The main reason behind this is Xbox One’s lower hardware specifications. The ESRAM and GPU that powers Xbox One are not capable enough to provide similar video game resolutions like PlayStation 4. Xbox One is being accused of not providing maximum video game resolutions to the gamers and not running next-gen games on higher resolutions. Many upcoming next-gen games have been reported to have lower resolution (and sometimes fps) on Xbox One. Just recently, former IGN editor Jeremy Conrad revealed that Thief will not run at full 1080p on Xbox One. Thief next-gen resolutions and frame rates have not been officially announced yet but it looks like the numbers revealed by Jeremy Conard are pretty much final. According to Conard, the game runs at full HD 1080p on PlayStation 4 while for Xbox One, the native resolution of the game is 900p, the game is locked at 30fps on both consoles. Conrad also added that the developer of the game Eidos Montreal, struggled hard to achieve 900p for Thief on Xbox One. @EricMORAND1976 they were struggling to even hit 900p with it from what I heard. While replying to a fan who asked whether Thief will ever hit 1080p on Xbox One, Conrad said that Xbox One will have problem running games at 1080p forever, mainly because of its ESRAM and GPU. Developers have not yet complained about the Xbox One resolution-gate issue but it is for sure that many developers are facing adversities in optimizing their games on Xbox One. Gaming sites have started to get their hands on the review copies of Thief but currently there is some kind of restriction on publishing reviews for games but it looks like Conrad could not hold it. This report about Thief next-gen resolution and frame rate looks pretty legit but still we should take is with a grain of salt and consider it as a rumor because there is no official confirmation for the game’s resolutions.